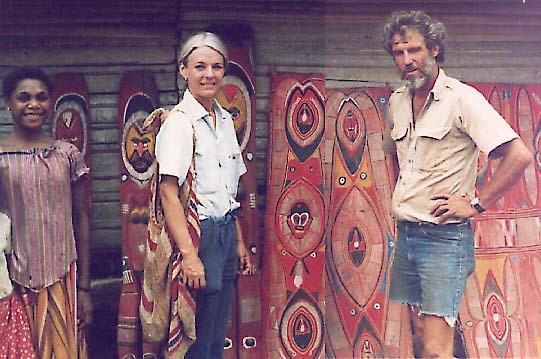 Carolyn Leigh and Ron Perry in the hill country of the Maprik-Wosera, East Sepik Province, Papua New Guinea, late 1980s. Painted sago bark panels on the right (pangals) decorate this Abelam village's house front. The ancestral figures (Nggwalndu) on the left are from the men's Haus Tambaran. 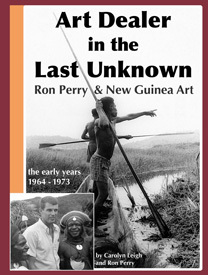 The pigments are almost all natural ones from the surrounding jungle.